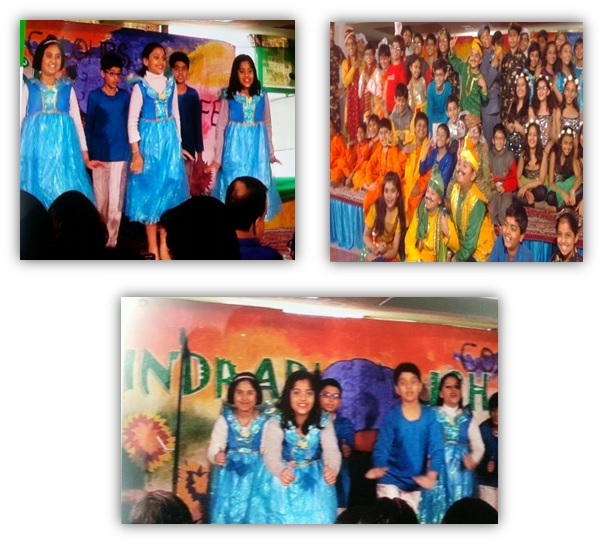 Classes V-VI had their Annual Presentation on 11 December 2015. Lightening of the lamp by honorable Principal Ma’am marked the inauguration of the musical extravaganza. The students presented a colorful spray of their talents by dancing to the tunes of various songs based on the theme Colours of Life. The tiny minis made the maximum use of the show to spread the importance of ‘COLOURS IN LIFE’. The most riveting performance was the rainbow dance which won an unceasing applause from the audience. The grand finale added an amazing enthusiasm to the show. The confidence and the superb performance of the student on the stage kept the audience glued to their seats, throughout the show. On the whole the show which was the fruit of many hours of tireless work was acknowledged by the esteemed guests.